Since the ZH-05 has entered service for sometime now and more importantly inspected by THE BOSS himself, the PLA Daily (here) finally confirmed its in-service designation as the QTS-11 单兵综合作战系统 (Single-Troop, Comprehensive, Combat System). 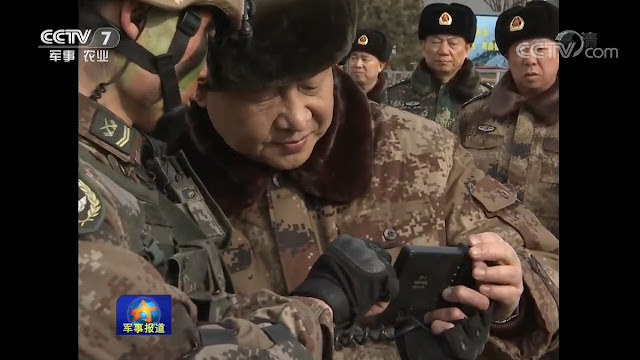 Xi is like "I like what I saw!" Pow. 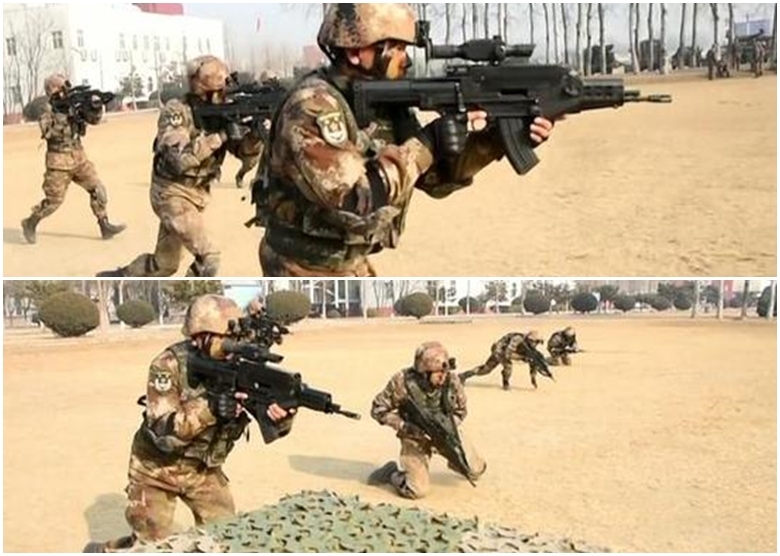 In the past week, a rush of new information and photos have come to light concerning the PLA's OICW (Objective Individual Combat Weapon), dubbed ZH-05. Speculation is rife that the weapon is due to be officially declassified and/or reveal an in service status. 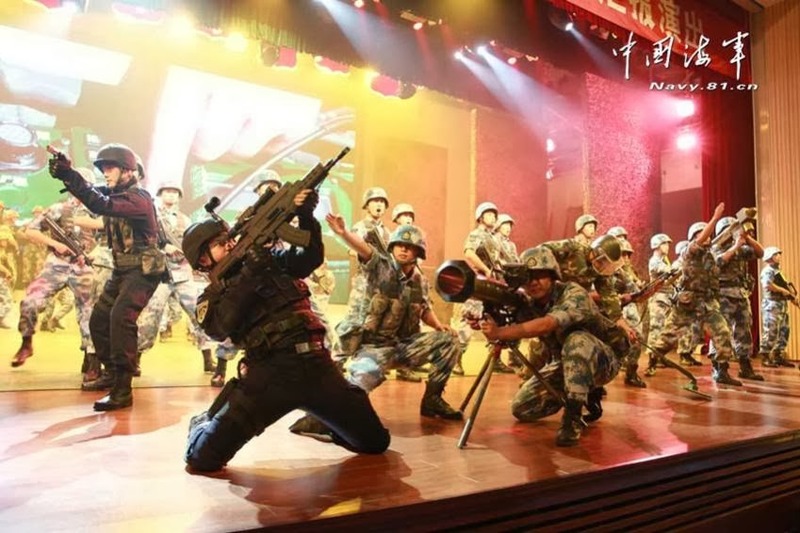 Caption: You know a weapon is set for public knowledge when it's at the forefront of a stage commemorating the PLAMC. Indeed, previous rumours of Aden deployed PLAMC being armed with ZH-05 appear to be substantiated in this latest round of "leaks". 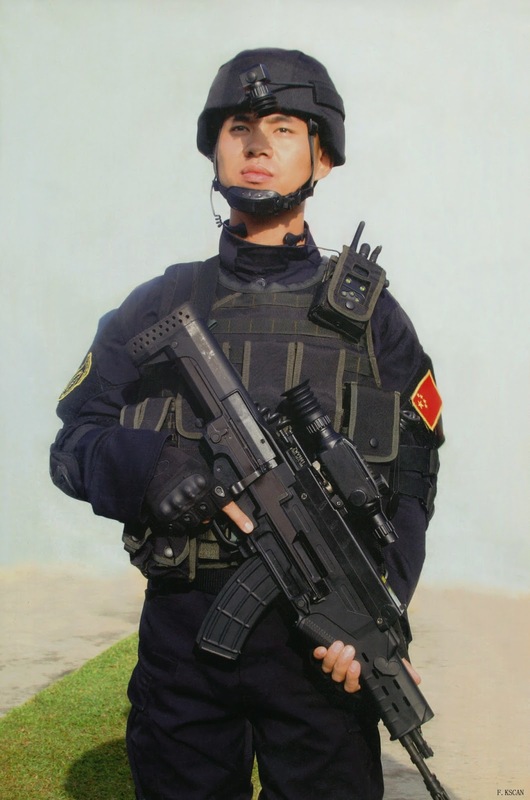 An OICW typically seeks to mate an assault rifle with an intelligent grenade launcher in a complete package, with a computerised fire control system to allow the small calibre grenade to burst at a predetermined distance for maximum lethality. 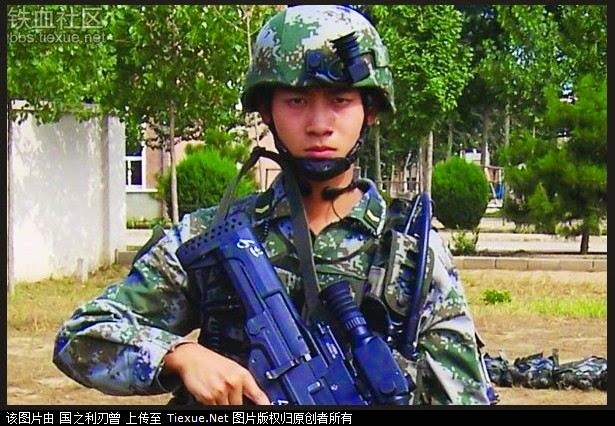 However, current and previous OICWs such as the US XM-29 or Korean K11 are hindered by heavy weight and cumbersome volume, and indeed, only the Korean K11 is currently in service and represents the only OICW fully developed. 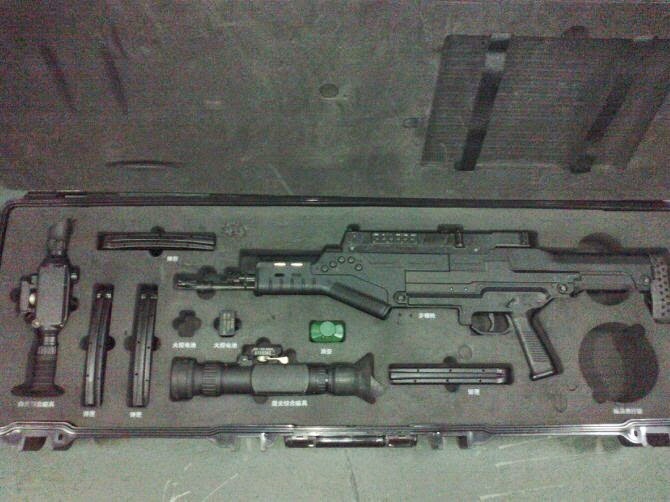 This changes with the ZH-05, which not only features a sleek, assault rifle-like profile, but is also remarkably light, at only 4.27kg unloaded and 5kg fully loaded (compared to the K11's 6.1kg unloaded). 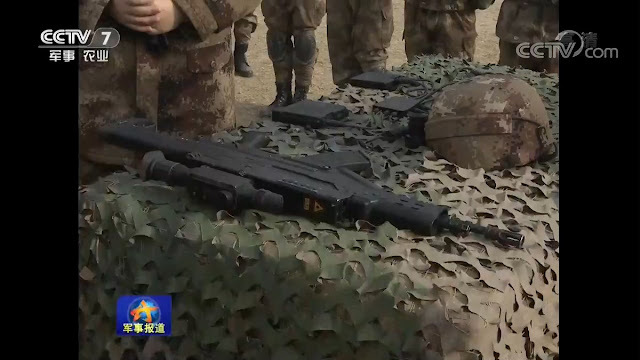 ZH-05 achieves its low weight through an innovative way of integrating only the laser range finder and fire control system with the gun itself, while keeping the optics modular and interchangable -- which not only lightens the weapon dramatically but also confers greater flexibility for the soldier who may wish to change between different scopes. 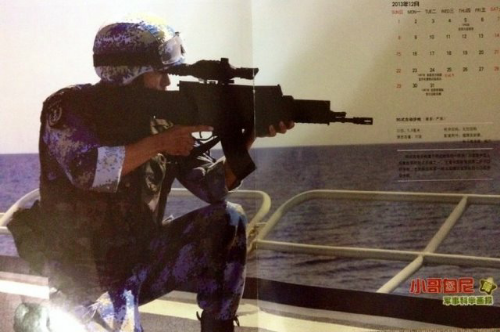 Caption: An early picture of the ZH-05, possibly at an arms exhibit, which surprised everyone both by depicting important specs, but also by the ridiculously low total weight of 5kg, which weighs less than the K11 unloaded, and only a little more than a loaded battle rifle! But an even more ingenious -- and pragmatic -- means of reducing weapon weight was through eliminating the semi automatic grenade launcher and magazine for a single shot bolt action mechanism. While at first glance this may appear a disadvantage compared with other OICWs, it has been suggested the deletion of the magazine was directed by the PLA itself after initial trials with prototypes with five round magazines. This not only significantly reduced weight, but also allowed users to fire different types of grenades with greater ease. The use of different grenade types is significant, as the lethality of a 20mm round is greatly reduced with the complicated electronics to allow a single grenade to perform multiple functions from airburst, to impact detonation, whereas separating individual grenades for airburst, impact, redues the circuitry in each individual grenade, improving overall power. "1. 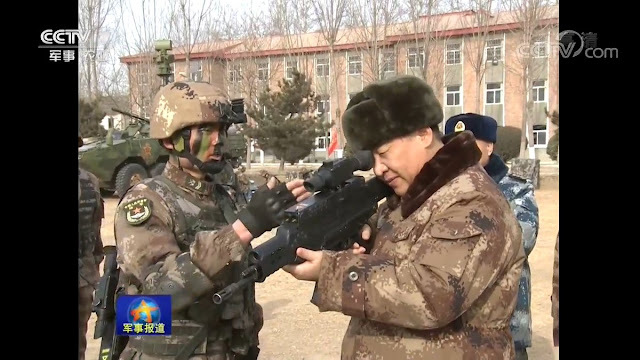 The first variant had a 5 round magazine, but the PLA requested the single-shot, manually loaded bolt-action system not only because it would be easier to change munition-type, but it also would enable the designers to design single-purpose 20mm grenades. 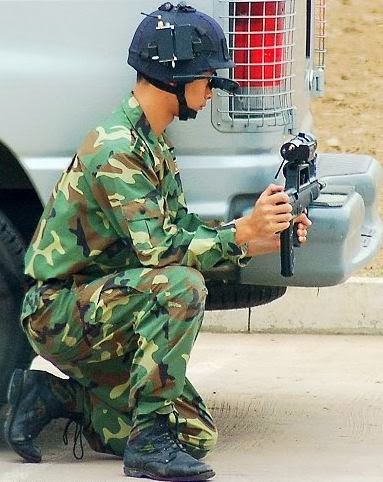 Compared to the XM-25, XM-29 and K-11's multi-purpose grenades, each individual chinese 20mm airburst grenade has only the airburst mode, the impact explosion grenade has only the impact explosion mode and so on, which increases the explosive load of those grenades as they reduce the room needed for complex electronics. To compare, the XM1018 20mm grenade has both impact and airburst modes, which consumes rougthly 60% of the grenade's volume for electronics, battery, sensors, limiting the the size of the warhead and reducing its destructive power. 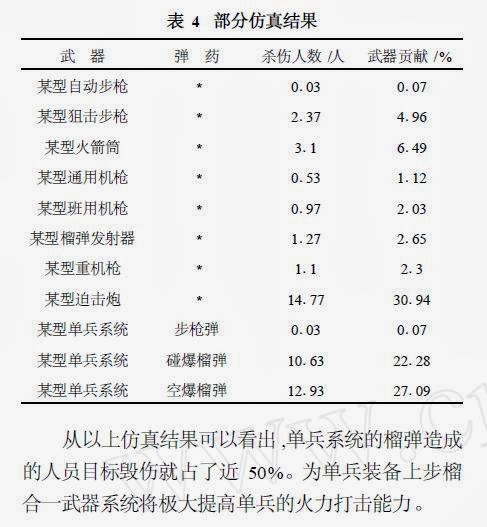 The PLA has hence very high confidence in the wounding effects of their single-purpose 20mm airburst grenades during urban battle, as it apparently performed better in tests than even hand-grenades and approaching that of infantry mortars (as in higher killing co-efficiency; note that chart below). 2. 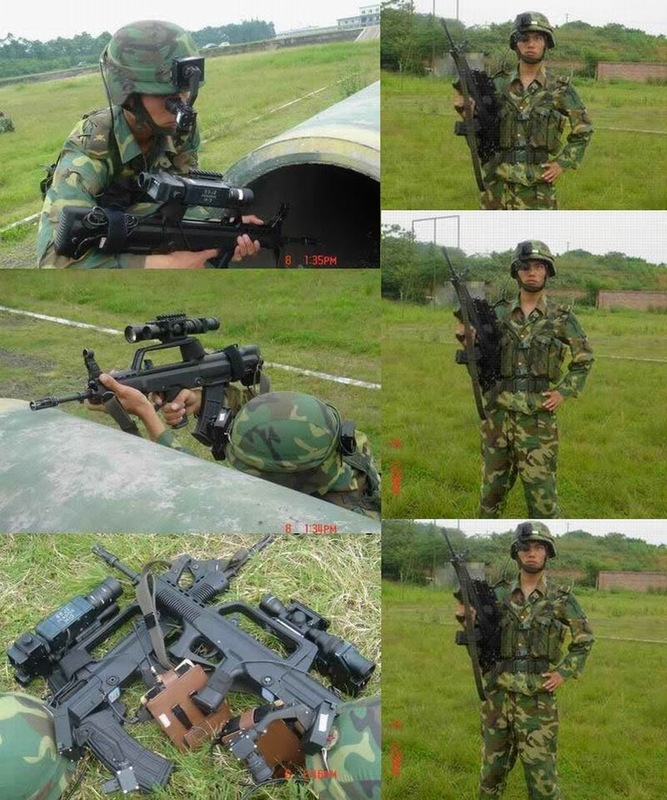 Due to the single-shot, manually loaded bolt-action system, the soldier can very easily chamber the individual grenade type required for the specific tactical situation at hand, without having to play around too much with the electronic-fuse settings. 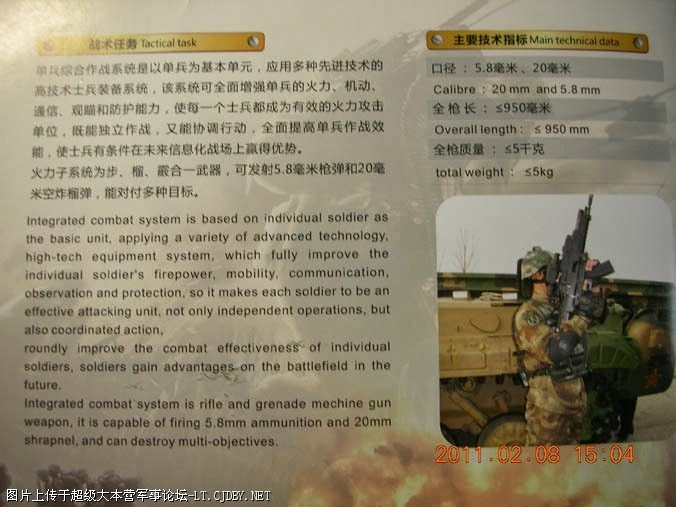 This increases the reliability of the grenades and reduces the weight of the weapon overall due to simpler electronics. 3. 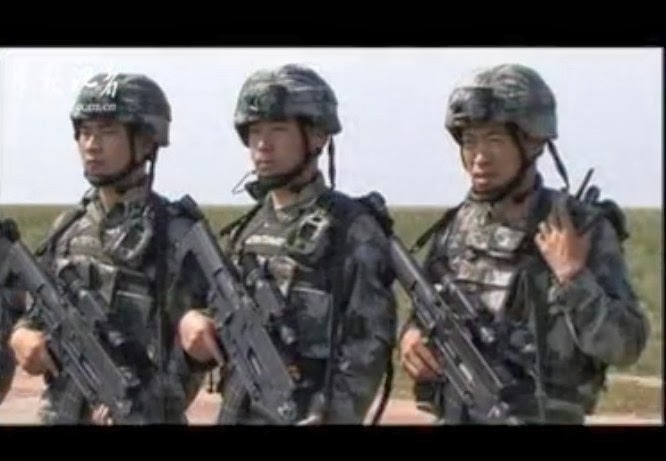 There are three kinds of grenades for the grenade launcher: The conventional impact grenade, the airburst grenade, and, what is called as the 'secret weapon'; the 'shotgun'-grenade. Latter is described as a grenade which will explode into a barrage of shrapnels to the forward direction at a customized range as set by the user. 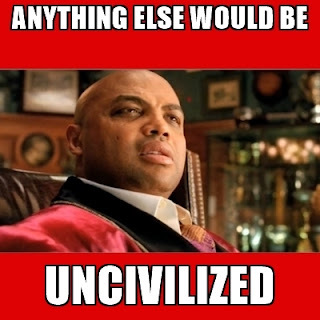 One can think of a small AHEAD (Advanced Hit Efficiency And Destruction) round to imagine its underlying principle. According to the users during field tests, this grenade is devastating in combat and has a high suppression value in close urban battle. 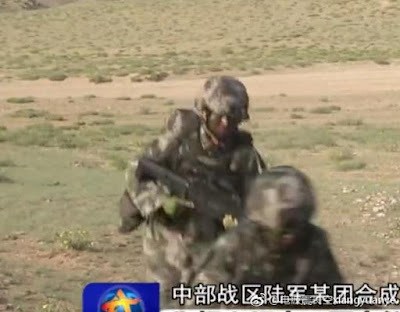 With these three grenade rounds available for this system, it gained its "three-in-one-launcher" nickname by the PLA. 4. 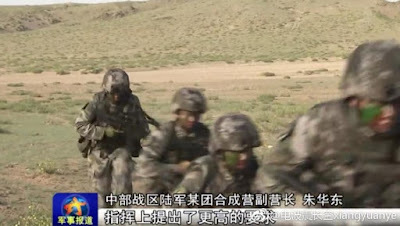 TOE wise, the standard PLA squad is already divided into two fireteams. 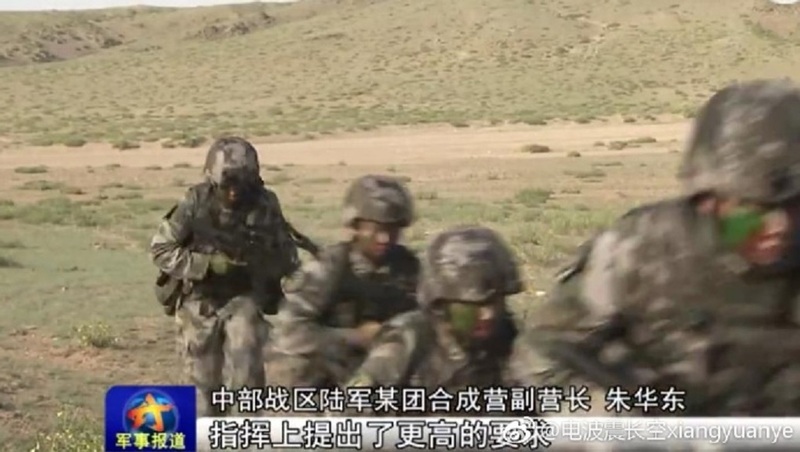 Traditionally, it is the RPG fireteam and the Machinegun fireteam. Now, each fireteam will receive one ZH-05, with two in total per infantry squad, raising the unit's overall combat efficiency dramatically." Caption: Lethality rating of the 20mm airburst grenade compared with various other weapons. It can be seen that the 20mm airburst has greater killing co efficiency than a standard grenade, and approaches that of an infantry mortar! 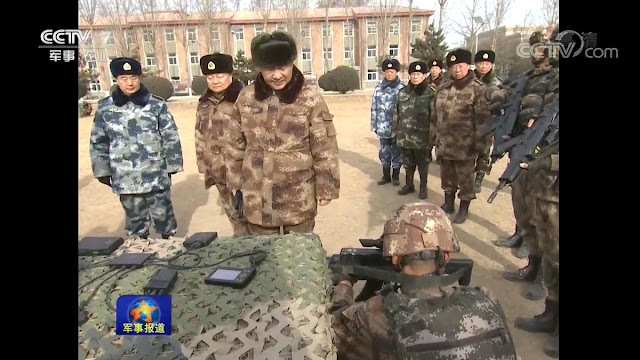 Pictures depict ZH-05 armed soldiers with a new kit of body armour and a helmet mounted eyepiece display suggest this is part of a greater drive for PLA modernization. The eyepiece is thought to be connected to the weapon via a cable, and possibly projects an image of the weapon's scope for the soldier. Certainly the PLA have experimented with such a function on existing rifles for many years.